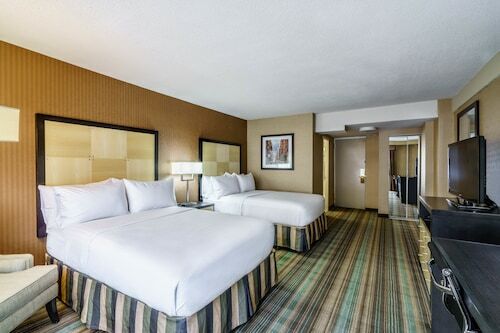 This Fort Lee hotel is 0.5 mile from the George Washington Bridge, 6 miles from Garden State Plaza Mall (shopping), 8 miles from the Meadowlands Sports Complex, and 10 miles from Midtown Manhattan. 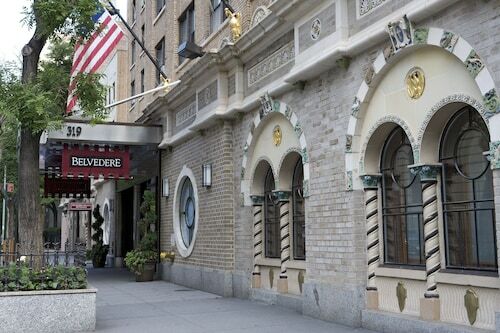 Situated in the business district, this hotel is 2.5 mi (4 km) from George Washington Bridge and within 6 mi (10 km) of New York Presbyterian Hospital and Yankee Stadium. Columbia University and Central Park are also within 9 mi (15 km). 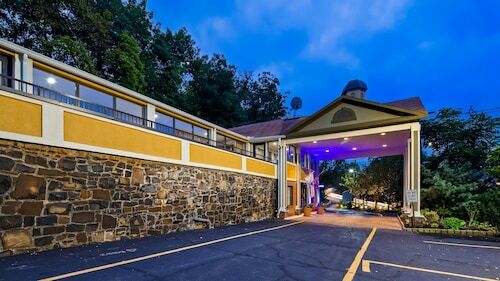 Situated in Fort Lee, this hotel is 2.6 mi (4.1 km) from George Washington Bridge and within 6 mi (10 km) of New Balance Track & Field Center at The Armory and Columbia University Medical Center. New York Presbyterian Hospital and Yankee Stadium are also within 6 mi (10 km). Situated in Fort Lee, this motel is 2.8 mi (4.4 km) from George Washington Bridge and within 6 mi (10 km) of New York Presbyterian Hospital and Columbia University. Yankee Stadium and Apollo Theater are also within 6 mi (10 km). How Much is a Hotel Room in Fort Lee? Hotels in Fort Lee start at $107 per night. Prices and availability subject to change. Additional terms may apply. Inspiring room alternatives are waiting for you in Fort Lee. If you want to be within 6 miles (10 kilometers) of Fort Lee's urban heart, our hotel database lists at least 242 hotels and apartments in the area you desire. Accommodation options that you can book within a short walk of the Fort Lee city center, are the DoubleTree by Hilton Fort Lee - George Washington Bridge and Holiday Inn GW Bridge-Fort Lee NYC Area. 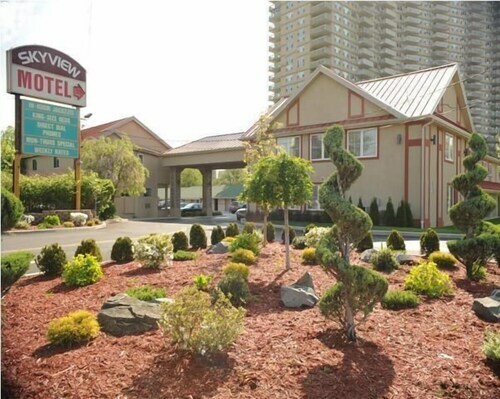 0.6 miles (1 kilometer) from the middle of Fort Lee is the Skyview Motel. This hotel is a great option for visitors who are watching their pennies. If you are after another budget option, you could investigate the Econo Lodge Fort Lee. You could also try the The St. Regis New York and also the Mandarin Oriental, New York. 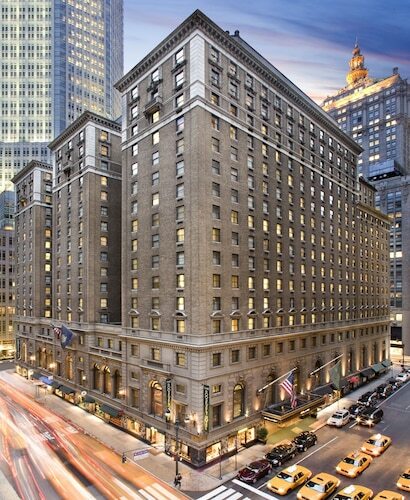 The The St. Regis New York is located only 6 miles (10 kilometers) outside of the center of Fort Lee. 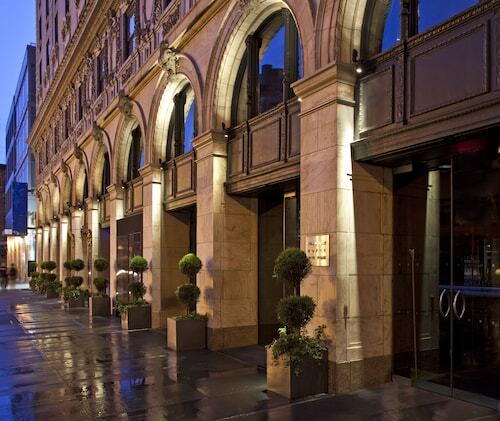 The Mandarin Oriental, New York, can be found 6 miles (9 kilometers) away. The Trump International Hotel & Tower New York and the The Plaza Hotel are alternate bases around Fort Lee. When you want to learn about more of the coastal plains and forests in this corner of United States of America, you could plan to spend some extra time in other areas of North Jersey. If you participate in traditional ways of enjoying yourself, like snowboarding, or instead prefer to explore the area to see major landmarks, you will easily book the most comfortable Travelocity-registered accommodation in the vicinity. Situated 7 miles (11 kilometers) from Fort Lee you will find Emerson, where you can spend a little time at the Felician College. Garfield Travelocity-registered places to base yourself include the Residence Inn by Marriott East Rutherford Meadowlands and Homewood Suites East Rutherford. If you're after another option, you might like to check out Emerson, 9 miles (14 kilometers) to the north of Fort Lee. While you are in Emerson, check out the Emerson Golf Club. The Fairfield Inn & Suites by Marriott Paramus and Comfort Inn & Suites Paramus are great choices for places to stay in Emerson. LaGuardia Airport is a primary gateway for flying into and leaving Fort Lee. You can find it 7 miles (12 kilometers) from the city center. For modern travelers who plan to stay in Travelocity-listed accommodation nearby, read about Sheraton LaGuardia East Hotel or New York LaGuardia Airport Marriott. The hotel was very nice. The staff is very helpful and nice. For the most part the hotel was clean. The pool area could of been clean a little better.